There are 682 posts in this topic. You are on page 14 of 14. 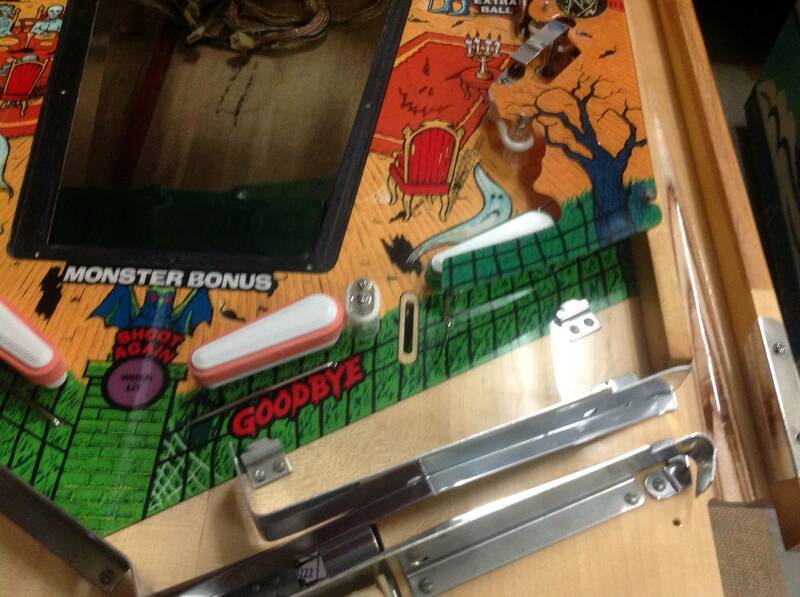 Riddle me this Batman... why does the lower left pop bumper on my main playfield go off randomly? Seems to happen less when I use a static reducing spray like Wizards Mist and Shine but still happens. Does it happen when nothing is happening, or when other things are going off? Are the contacts adjusted too close? If so, vibration from other devices could trigger it. Seems to happen the most when the ball is draining but happens other times too. I have adjusted the contacts almost to the point the the pop doesn’t work when it’s actually supposed to but it doesn’t stop the random activation. So I guess this coil is bad? 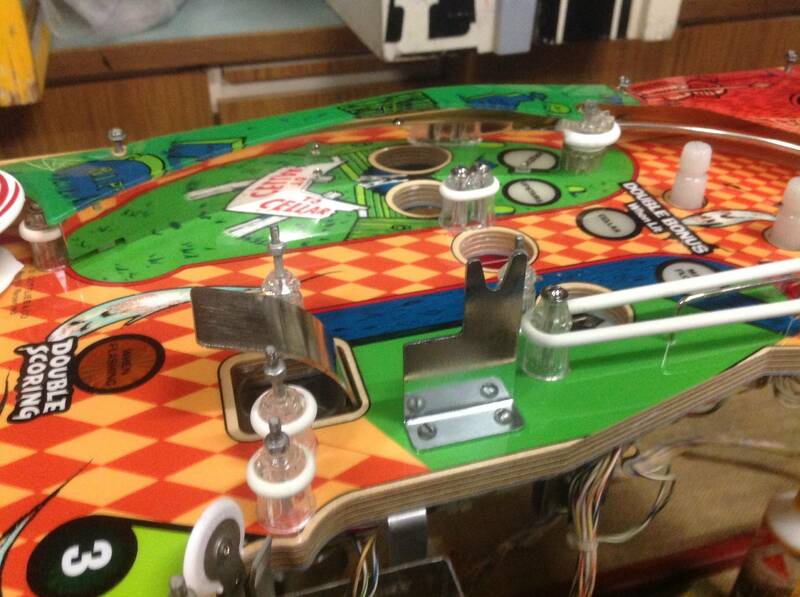 Trace that questionable pop bumper back to it's pop bumper board (one of the small boards under the playfield). Swap that pop bumper board with one of your know good boards. If the problem moves you know you have a bad pop bumper board. Can someone please put the leads of their multimeter on the left and right lugs of their main playfield flipper coils and tell me what resistance reading you get? 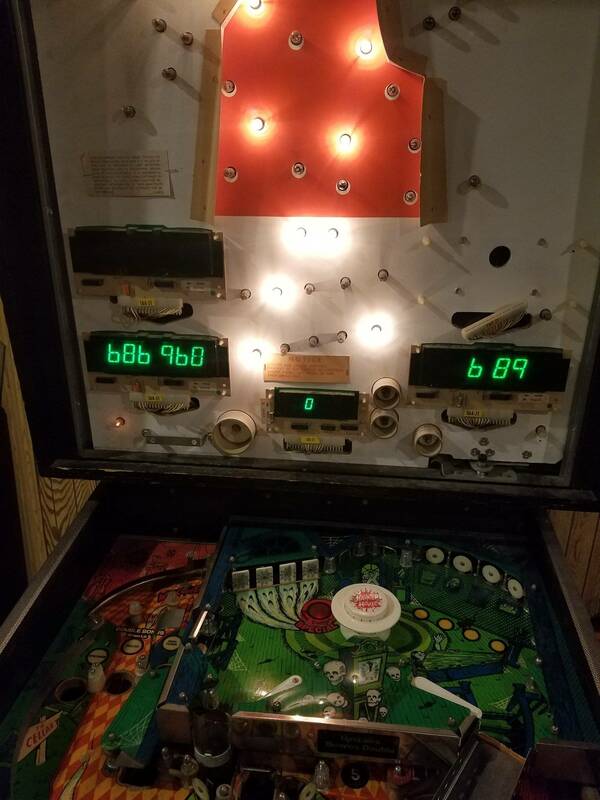 Can someone please put the leads of their multimeter on the left and right lugs of one of their main playfield flipper coils and tell me what resistance reading you get? Anyone? 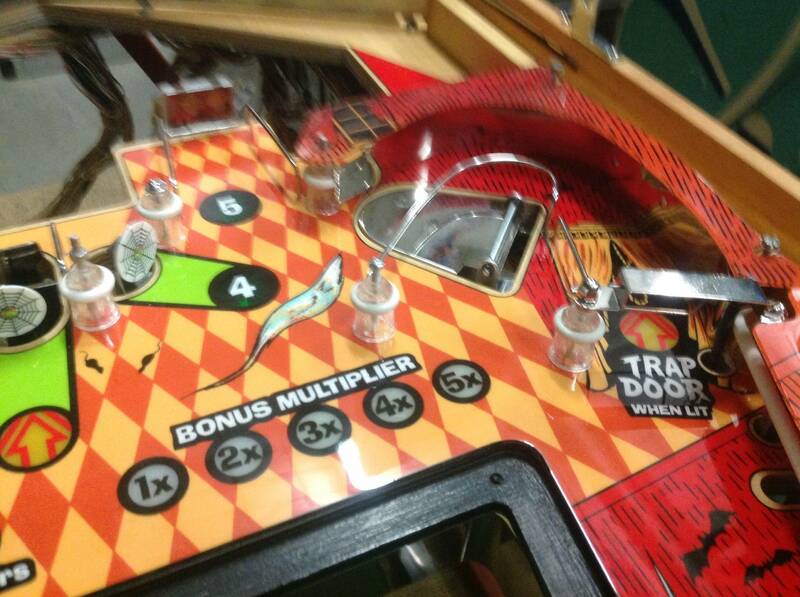 You can do it through the coin door, don't even need to lift the playfield. I just joined the club last night. I picked up a project HH that will need a bit of work to get going. I am going to attempt the multi-ball and speech conversion - if anyone has any experience with this, I'd love to hear about it. It is a great machine! Speech is pretty easy. Swapping out ROMs on the main MPU and sound card then plug in an SC-01 Votrax speech chip. C'mon, can someone please help me out here? It will only take a minute. With the game off, grab your multimeter, put in on the resistance setting to measure ohms, open the coin door, find a flipper coil and put one lead on the far left lug and the other on the far right lug of the coil. Then please post the reading. Sorry to pester everyone but I can't really move forward with my game until I find out if my flipper coils are normal. Thanks in advance. I'd gladly do it but recently moved the machine and haven't set it back up. Going to try and move my other machine over soon since I am looking forward to playing it again. What value are you seeing? I'm getting 1.6 ohms, which seems too low. 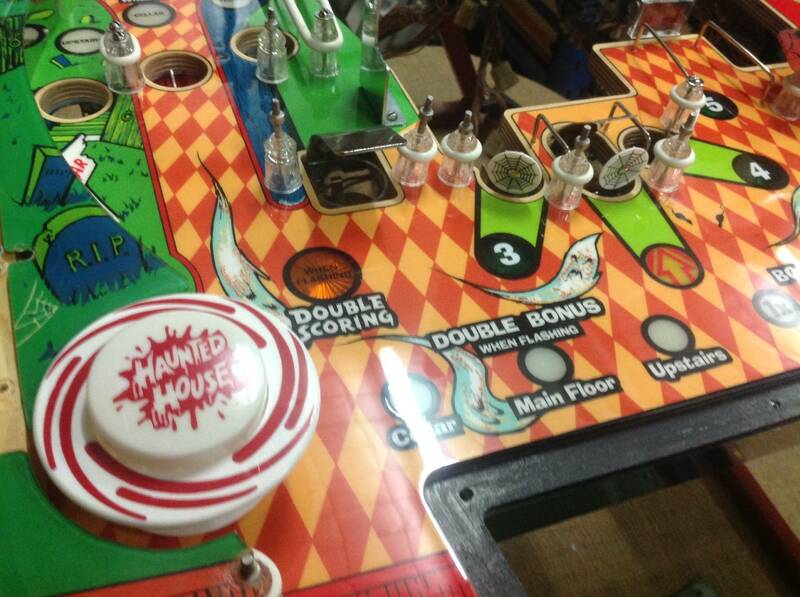 Main playfield flipper coils are reading 1.8 - 1.9 ohms on the HH I am currently working on. OK, thankyou so much for checking for me. No problem, I have the 3 playfields removed right now for cleaning and maintenance / upgrades. Swap that pop bumper board with one of your know good boards. +1 on checking the PBDB. Look for cold solder especially the 0.156" connector pins. I have completely rebuilt many PBDB using the kit from Big Daddy enterprises. also make sure the "update" (jumper & cap flip) has been done to them. I finally had a chance to get my Haunted House setup again. It's been sitting since I brought it home from my parents. I have it up and running well but there is a new issue. Last time it was setup the audio was perfect. In attract mode between playing sounds it was silent. Now I get an odd sort of scratchy humming noise. It is loud enough to be annoying and wasn't there before. The machine is properly grounded and neither of the other two machines on that circuit have issues. 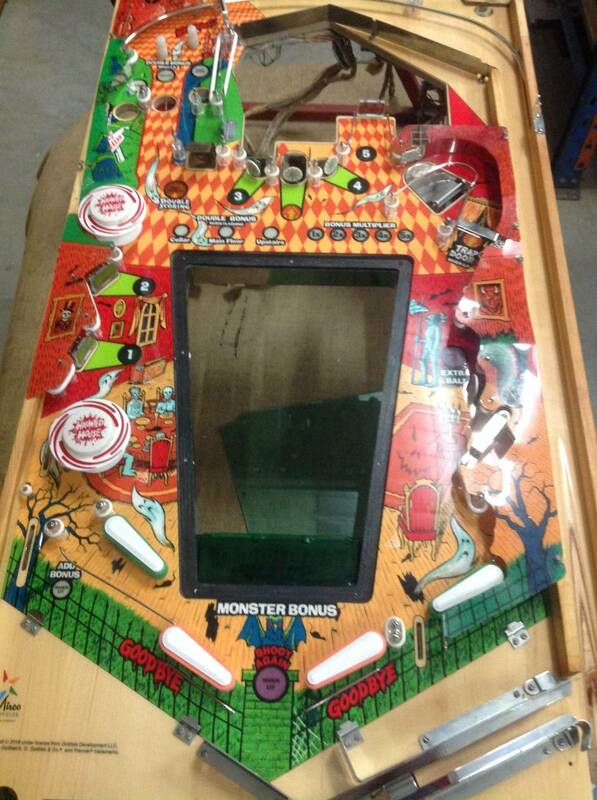 The ground mods were done and the main caps in the bottom of the cabinet were replaced before I got the game and I plan on going over all those connections again. Maybe check the volume controls in cases the oxidized a bit. Has anyone else run into this? If you did what was the issue you found? Still haven't found the issue yet. I'm leaning toward a bad ground. Almost has the sound of a transformer when the laminated core is going bad and it hums. Going to pull the power board for the sound and go over that to see if I can find any issues there. In my mind this can only be one of two things. The first is the pins in the following locations. The second is a failed sound card. Re-pin first and report back your findings. Issue is still there but I was wrong about the ground mods being done. Only extra grounds are on the main power board, MPU, and light board on the backglass. It looks like I need to add them to the speech power board, speech board, and main driver board. That may clear up the issue. I'm going to do the mods one at a time to see if any of them solve the sound issue. The sounds were perfect before moving the machine and I don't believe the issue will end up being on the sound card itself as i've already gone through that. First board I pulled off was the power supply for the sound card. Just noticed there was corrosion around the screw, nut, and washer where the voltage regulator is supposed to make contact with the trace on the pcb which looked to be a poor connection. That is the first thing I'm cleaning up. To be honest, the ground mods aren't that important if your pins are good. 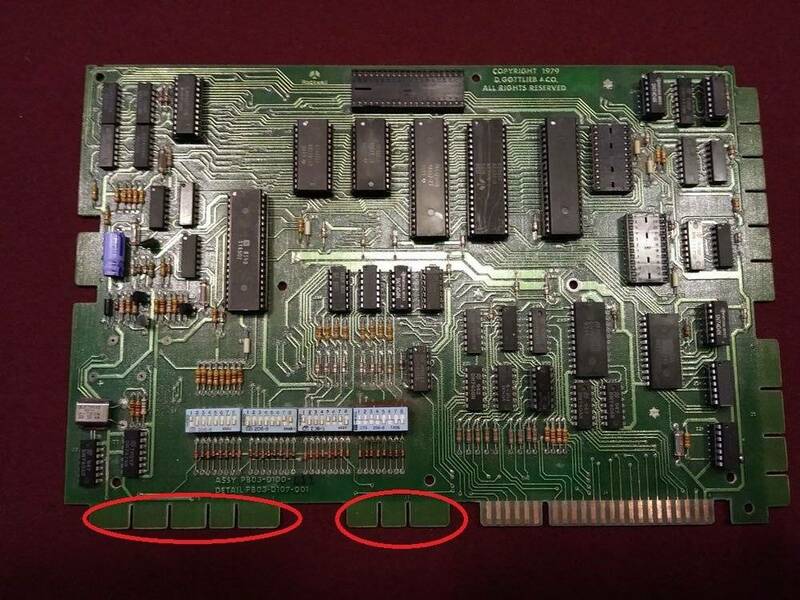 Those edge connector pins ware out quick. Have you replaced the caps on the sound board? I have a couple test wires with alligator clips that I use to test grounds. This allows you to move your ground from board to board without doing perminate changes. Very helpful in troubleshooting something like this. Have my machine working well again. It seemed to just be a bad connection. Sounds back to normal now. I wasn't expecting that it was the sound board since I went over that and fixed it when I first bought the game. Had also used it to repair a couple other Haunted House sound cards. One with speech and one without. I would eventually like to get a spare system 80 MPU board for my game. Found someone with an 80A but I'm not sure on the backwards compatibility. Is another running an 80A in their machine? 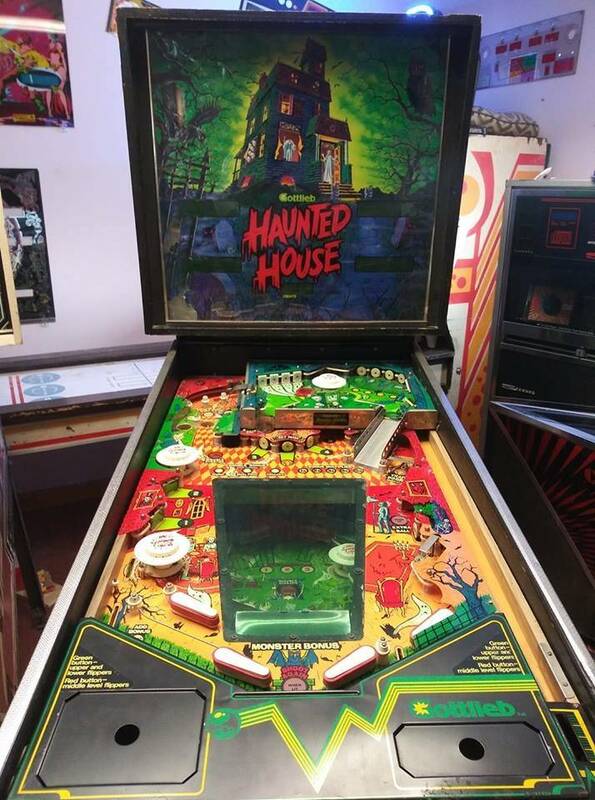 Lost my lightning behind the Haunted House back glass last night. Otherwise, Everything is working well on the game and it is playing great. It looks like I'm only getting about .7 volts instead of 5v on the A11 lamp board which explains why it isn't activating any of those lights. Since I don't notice any other issues I'm goin to start with the assumption it is a bad connection on the 5v line. Does anyone happen to know where that connector goes and what is the source that feeds it? If anyone is interested, I've started a thread to document my Haunted House restoration. I also hope to add Multi-ball and speech. See ya over there, I'm doing the same right now . . . Joined the club today! It will be fun reading through the whole thread ! 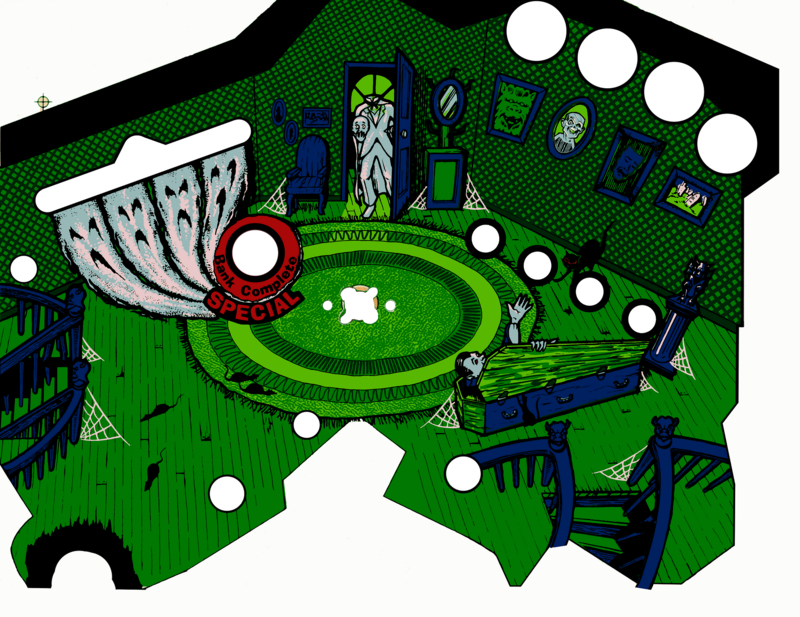 If anyone is interested: Here's a pretty decent corrected scan of the upper playfield. I needed to recreate a few portions of the graphics because of paint loss. I'm not sure if the resized version that the forum creates is workable. If you need the full-sized .psd, it's 94MB. I was able to make good waterslides from this image. Just finished this two more to go. 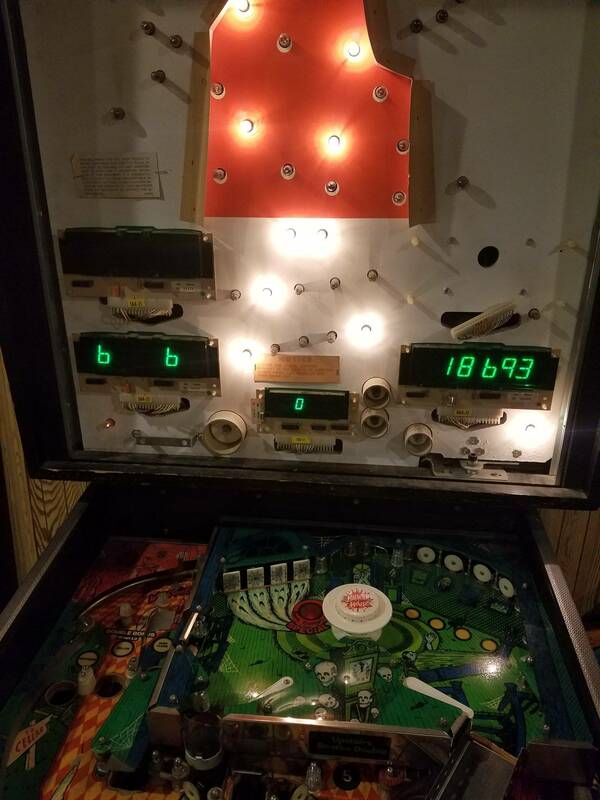 Changed the bumpers and the round targets and removed the horrible vinyl wrap that Gottlieb placed on the playfield rails. Really happy with the quality of micro playfields.